Safety tape for floors is one strategy used to ensure a safer environment in the workplace as well create the necessary order. High risk sections within an organization are clearly marked to urge workers to be cautious when approaching those sites. The workplace is a den of hazards from all the harmful equipments, products and other perilous objects lurking within the organization. Safety tapes go a long way in enforcing proper standards and conveying necessary messages that creates order and safety. 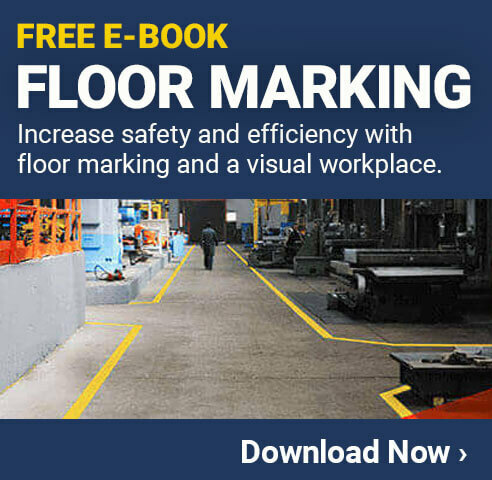 Applying floor safety tapes is a simple task that can be completed in just a few steps. There are a variety of materials used in the manufacture of floor tapes and each comes with specific qualities and levels of durability. The most common and cheapest is vinyl but it comes with its own disadvantages. Vinyl is mostly an adjustment of larger vinyl sheets meaning that the material is elevated and prone to cuts when heavy objects are passed over it. There are those made of polyester, are strong and specifically manufactured to withstand harsh exposures. The best material to use should be durable and that can withstand heavy objects. The choice for the material however should be dictated by the kind of the floor and the nature of work. More durable materials should be selected for industrial use while at the domestic level any material can be used. For outdoor use, it is advisable to stick the tapes to waterproof adhesive to maintain their initial gloss. There are other quality protective coatings you can choose from if you want the texts and graphics used to last longer. For improved safety and quality markings you can purchase customized floor tapes adorning images or the logo of your organization. Each color code represents a distinct message to be conveyed. There are international conventions that clearly outline the basic color codes to be used in the different environments. The various colors in use are yellow which is common in industrial areas, red is used to urge caution, green is used to inform workers on the location of essential safety equipments, orange is used to portray the need for caution around machines while white is used to mark spots where equipments are to be stored. When choosing the color codes to use it is crucial to pay attention to the intended message and also the location of the tape. Successful application of floor tapes requires taking careful measurements to ensure the tape fits as it should. It would help if you used a chalk to clearly mark the lines. Any minor mistake at this stage will result into shoddily applied tapes. It is critical to ensure that the tapes are applied along the marked lines and the same pattern repeated carefully in the selected area. When it comes to application, use the appropriate sized roller and press it evenly on the tape. It is important to remove any air bubbles to avoid any cases or wrinkles and fold ups. Previous post Does Lean Mean “Easy and Simple”?